EVERYTHING! It was perfect. The room is beautiful, the view is incredible and the owners could not be friendlier or more helpful. We were looking for a place to rest and charge the batteries for a couple days, before heading back to business. Awesome venue, great room in a great location and I really wanted to thank Christina, Zeta and Jerry. First of all Roula and Jerry for making our stay as comfortable as possible. If there where any questions or regards, they had a solution for basically everything! Also the cleaning staff did an unbelievable job. The room is very clean and very comfortable and the view from our balcony superb – just as described. I had the feeling you felt home. This place gives you a sense of relaxation ! So thank all of you guys for making our trip an unbelievable experience! Keep up the good work and see you soon! Christina & the team we’re brilliant could do enough for us the apartment was very clean ,the location fantastic, towels and bedding changed every 3day can’t wait to go back . The whole family running the hotel were very helpful and kind, they were great hosts. They helped us with the boat reservations and provided any needed information before and during our stay. The room and the sea/harbour view was fantastic! The bed was super comfortable and there were also sweets and local honey provided as a gift upon arrival. We will definitely come back! Simple answer: Everything without any doubt. This property does not need any fancy words to collect credit... needs to be experienced. Excellent location and view from the balcony overlooking the beautiful harbour of Chalki. 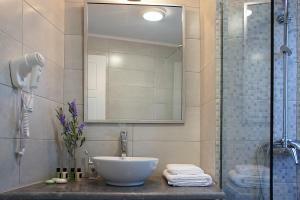 Tastefully and perfectly planned villa with all modern facilities. Excellent Wifi services. Very generous and helpful owner and staff. Absolutely wonderful .. all of it from the moment arriving in Halki. Was met off the boat by a lovely Taxis who took us straight to house and we were hours early. The house is a gem. Views spectacular. Maria the housekeeper had it sparkling. Extra little gifts were left, wine, coffee etc. All much appreciated and special. Had to contact Christina as we broke some glasses, Wanted to pay for them but she was completely forgiving and told us not to worry. She also let us stay hours later on the day of departure. In fact nothing could have been any better. As the boat pulled out of Halki I was really sad to be leaving. 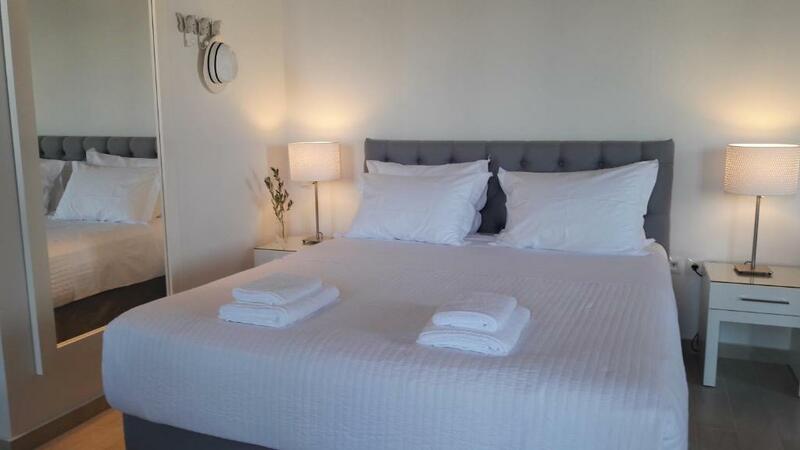 A fantastic location , stylish accommodation with everything you could possibly need. The hosts were welcoming , kind and made our stay very easy . We will be returning next year to stay again and have already recommended the accommodation to friends and family . 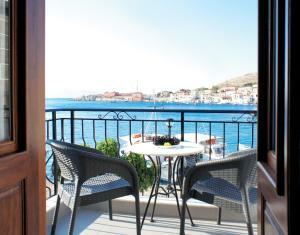 Very tastefully decorated room with a great view of the port of Halki. 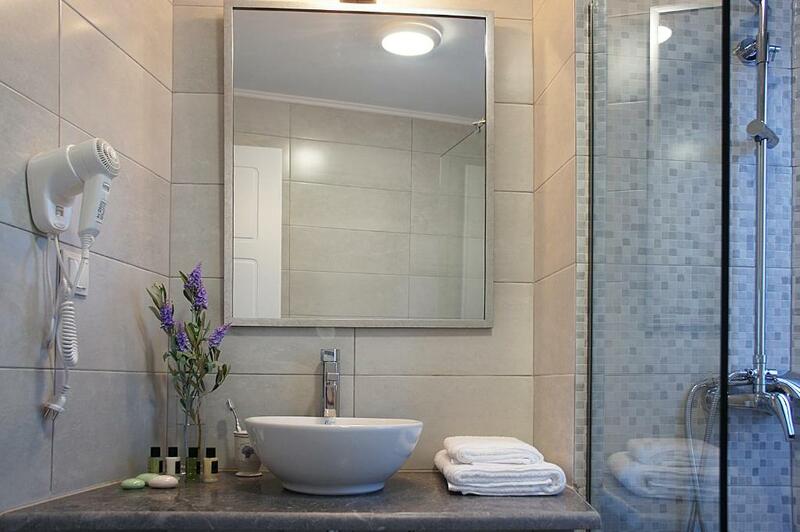 The views, comfy bed, bathroom, welcome and helpfulness. Only 50 metres to harbour, and bus stop. Great choice of restaurants. Lock in a great price for Aegean View Villas – rated 9.7 by recent guests! 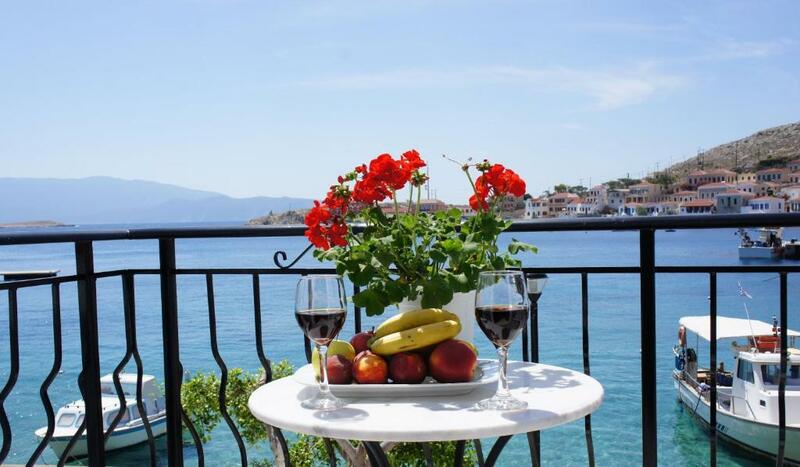 Seafront Aegean View Villas is centrally located in the island of Halki. It offers elegantly decorated accommodations with a private balcony and unobstructed views of the Aegean Sea, the port and the rest of the island. Halki Port is at 100 feet and free WiFi is available. Featuring wooden high ceilings, the fully air-conditioned rooms are located on the upper floor. They are fitted with marble/tile floor and branded mattresses. 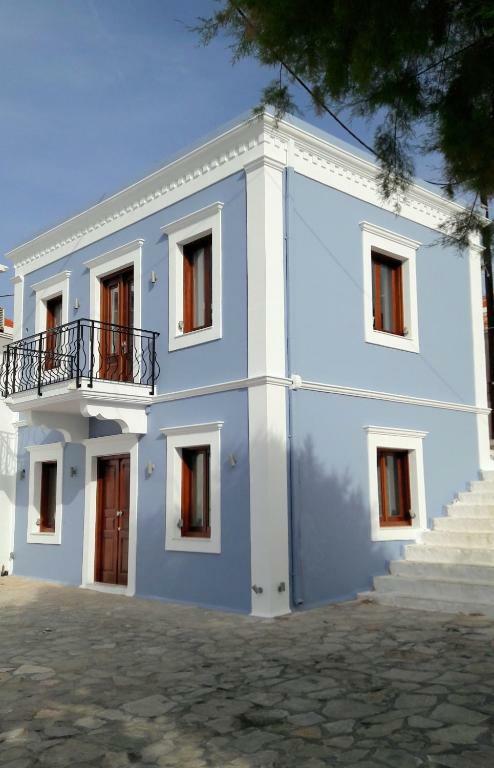 Each has a flat-screen, satellite smart-TV 40’’ with free access to Greek and international channels, fully equipped kitchen and ironing facilities. A hairdryer and shower are also available. Beach towels are featured. 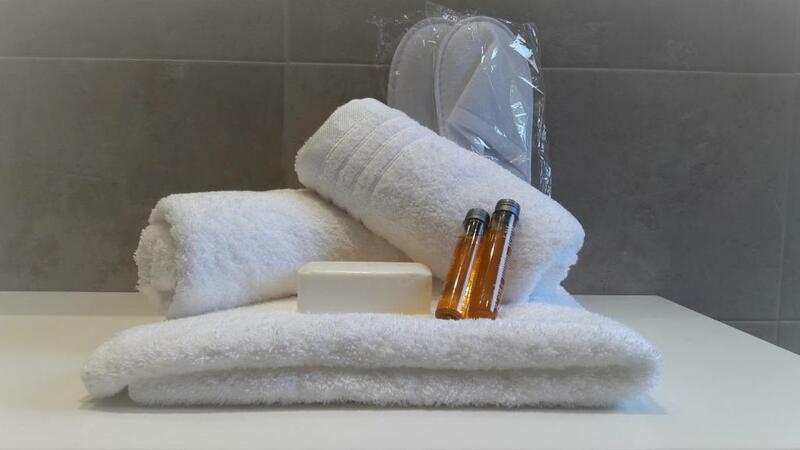 Free toiletries as well as Greek wine and traditional treats are offered upon arrival. Guests will find cafe’s, shops and restaurants within a short walk from Aegean View Villa. When would you like to stay at Aegean View Villas? 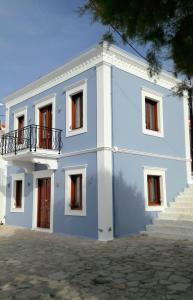 The seafront Aegean View Villas are located in the island of Chalki. They offer elegantly decorated accommodation with private balcony and unobstructed view of the sea, of the island’s picturesque harbour and Chalki’s village, a scene of exceptional beauty. They are located very close to Chalki’s beautiful harbour and offer free Wi-Fi and all modern facilities.Aegean View Villas have the privilege of being close to local attractions, beaches and all facilities and services. Nearby, you could find as well cafeterias, traditional taverns and shops. House Rules Aegean View Villas takes special requests – add in the next step! Please inform Aegean View Villas of your expected arrival time in advance. You can use the Special Requests box when booking, or contact the property directly using the contact details in your confirmation. No complaints, everything was perfect! I would like to have breakfast included in the price. First four nights excellent nights sleep, fifth and final night bad noise from restaurant and bar below, one thirty in morning something banging was very loud. But this was the only problem. You cannot charge devices when you remove your keys from the main switch and leave your room.